image by Carmelo Mel Zannelli, Palermo - Italy. North to the upper right. 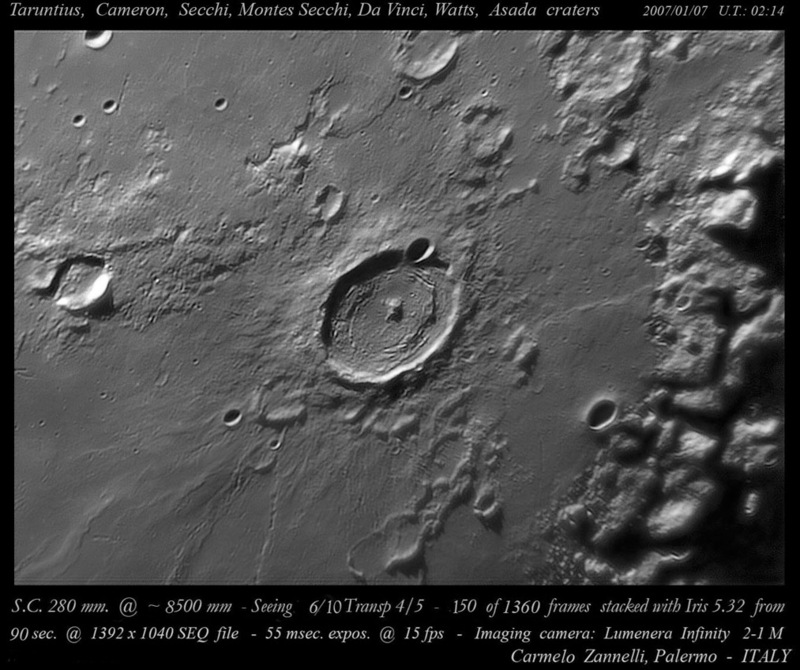 Taruntius is one of the youngest floor fractured craters (FFC) on the Moon. How do I know it is young? It has preserved secondary crater chains and faint rays. What does it mean to be floor-fractured? Interior is elevated and cut by rilles, commonly concentric with the rim. FFC are thought to be normal impact craters (note how typical the rest of the rim, ejecta and rays look) that were colonized by rising magma that pushed up and often cracked their floors. FFC only occur near edges of mare, not in the middle of highlands, and hence magma is available at depth to rise under them. Taruntius is one of the prime examples of a FFC because it's circular ridge and rille pattern is so complete. Taruntius' central peak may also rise above its rim. According to measurements the crater is 1.1 km deep and the peak rises as much as 1.9 km above the floor - these measurements need to be confirmed. 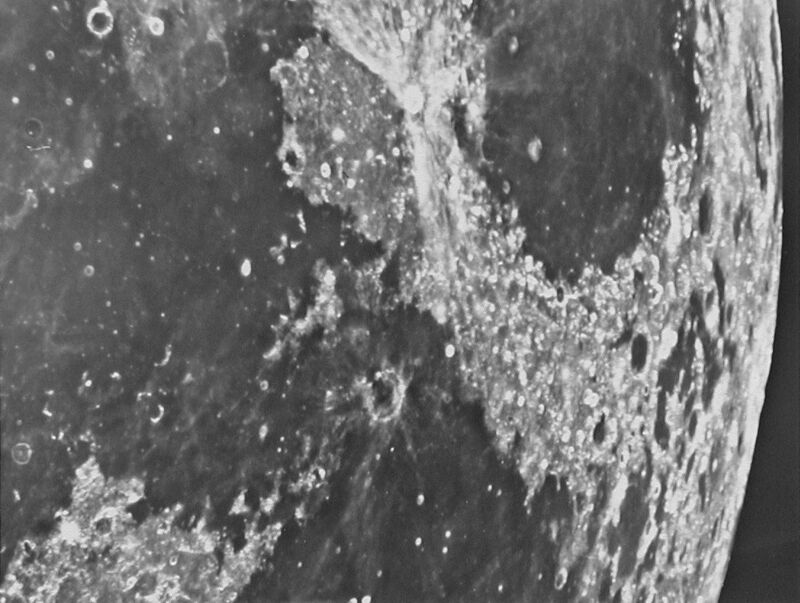 Another interesting feature are the lava flows of Mare Tranquillitatis (upper left) that appear to have flowed as a thick sheet over older flows (similar to flows near Bohnenberger). Note near the top a small crater with a smooth floor that has been entirely surrounded by the flows. Instructive region! This page was last modified on 28 October 2018, at 08:22. This page has been accessed 1,410 times.